One of the best systems available for tracking a car in the UK is called Tracker Locate. Before purchasing, people should really do their research if they don't know much about tracking a car. They should have a word with an expert company like UK Car Tracker who can assist you in choosing the best car tracking system for your vehicle and really out your mind at ease. 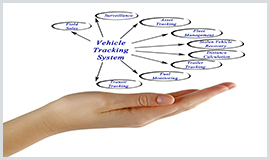 The new Tracker Locate vehicle tracking system has to be the ultimate security for stolen vehicle tracking. Tracker Locate system has the latest GSM/GPS technology to give you exact location. In addition, it has state-of-the-art built-in VHF technology. For those of you who don't know what the purpose of the VHF technology is just remember that the entire police force in the UK is equipped with this technology. This is how lead containers ready to be shipped abroad or they find stolen cars in underground car parks. Tracker Locate is a unique vehicle tracking system that through its VHF technology can alert the control center when GPS jamming is detected. There's more, Tracker Locate have added geo fence alerts and web access. Now, you can log onto your personal website page and add an invisible fence round your car, if you are on a business trip or holiday. You get alert sent to your mobile phone, if the vehicle moves. Last but not least, the stolen car tracking system will talk to other vehicles fitted with similar Tracker systems using the Tracker's mesh network in order to relay its location as quick as possible to the police and control center. System for tracking a car? Are you looking for a tracking system for your van, car or fleet? UK Car Tracker is the leading vehicle tracking experts covering the entire country at your car dealership, place of work and home. We are primer installers for all major vehicle tracking brands in the U.K- Trackstar, Smartrack, Tracker UK, Cobratrak. For free advice or more help, please feel free to contact our team of experts on 0800 246 5327. Vehicle tracking systems and GPS car trackers are professionally installed throughout the UK by UK Car Tracker. Having your vehicle tracker installed is so simple with UK Car Tracker. Our team of experts can install any of our insurance approved Cat 5, Cat 6& fleet car trackers to your car, motorhome, van or caravan fleet at your place of work, main dealership or home. Cobratrak, Smartrack , Tracker UK , Trackstar Car tracker fitters throughout the UK. Take a look at our blog and see how serious we are about vehicle tracking systems for our dear clients. You can find cheap car tracking systems practically everywhere but you have to ask yourself - will it meet the requirements for the purpose it is needed for? The list goes on - spy car tracking systems, wireless personal trackers systems, rechargeable tracking systems, portable car tracking, mobile Internet car trackers, VHF car trackers, GPS car trackers for personal use, fleet tracking systems, insurance approved trackers. UK Car Tracker offers cheap vehicle tracking systems and the compare table shows you what you get with your insurance approve Category 6 car and vehicle tracking systems. We can supply and install throughout the UK. Insurance approved vehicle tracking system from as little as �149. If you are looking for a cheap vehicle tracking system that meets your budget then check out the latest insurance approved vehicle tracking systems at our prices.